A "purr-fect" Watercolor Kitty Card! Today I'm showcasing this super sweet watercolor kitty card by Taheerah Atchia. I love that she combined watercolor with the "no line" coloring technique. That kitty looks so soft I think you could pet him! She used our cute kitty stamp from our Newton's Antics stamp set and the "wishing you a purr-fect day" from the same set. I also love the little bits of watercolor splatter and the contrast between the soft kitty and the bright bold colors and black of the background! 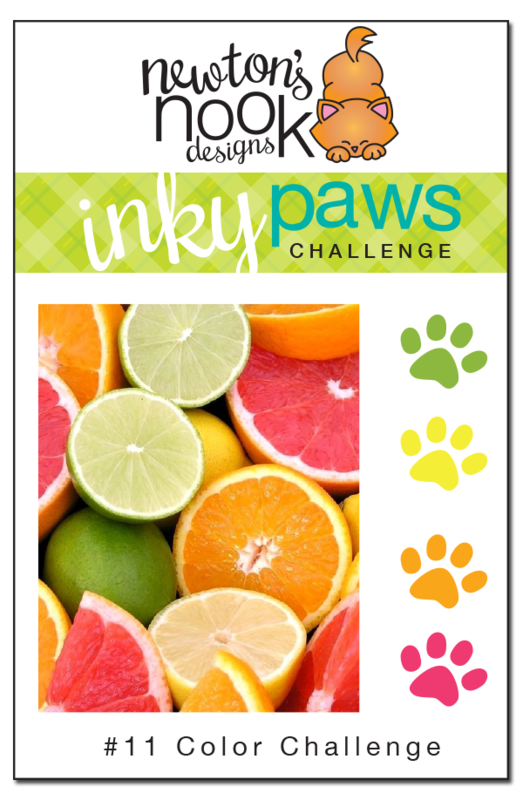 There's one week left to enter our Inky Paws challenge! 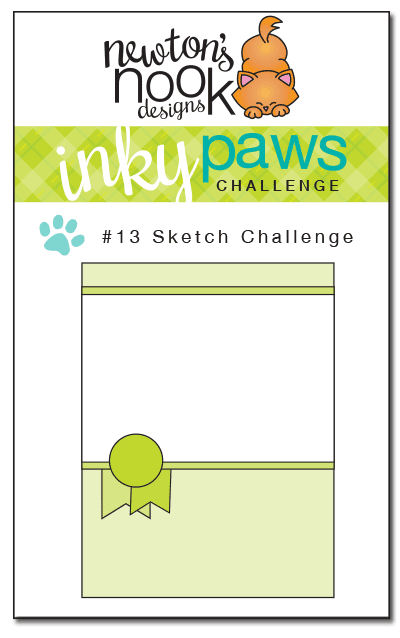 What a fun and creative card! I love the artistic feel and all of the fun elements, so cute! Taheerah's watercolour Newton is ever so innovative, especially paired with that vivid background! Artsy fun, indeed!